Warning!! A Dangerous Time To Buy New MacBook, MacBook Pro or iPod! Revisions ahead. For the next month, if you can, avoid buying a new iPod or Apple Laptop. Here is why. Both the MacBook and MacBook Pro have not seen any major redesigns since their introductions in 2006. This would mean, according to Apple’s existing revision schedule that they are due for a redesign– something more than just a “speed bump”. Rumor has it that the new laptops are going to sport a full case redesign, making them appear similar to the newly announced MacBook Air and fourth Generation iMacs (introduced last summer). For the MacBook, the design change would move away from the traditionally plastic casing to a new aluminum casing alike the iMac from last year. 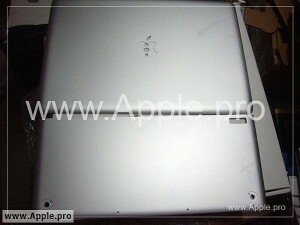 Since the iBook’s introduction in 1999, the primary case material has always been plastic- even through the name change to MacBook in 2006, which accompanied the switch to Intel processors. The MacBook Pro, whose existing case is aluminum, most likely will see a revision to the case molding, probably taking after the MacBook Air. This means the edges will be slightly less square, and includes the repositioning of the battery, with better access to the hard drive, like the current revision MacBook. Recently, rumors have circulated regarding the inclusion of a larger, oversized trackpad. This new trackpad might be capable of more multi-touch gestures, adding to the few that are already present on Apple’s current laptops. A recent rumor even suggests the trackpad will have a glass surface, such as the one found on Apple’s iPhone or iPod Touch. A new iPod Touch model number (iPod 2,1) were recently found in the latest betas of the iPhone OS firmware, which would corroborate with the usual September timeframe for iPod refreshes. 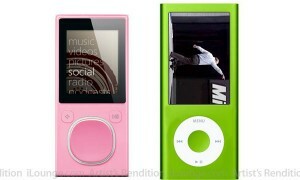 There has also been rumors surrounding the form factor of the new iPod nanos. So, while rumors and speculation always run around wild prior to announcements, based on a number of factors, it is a very bad time to buy a new iPod or Apple laptop (with the exclusion of the MacBook Air). Unless you don’t mind your new investment being replaced with a newer, better model within a number of weeks, hold back your purchase.